Hiring the right people is key for any business. For a startup, recruiting the right co-founder or early employee can mean the difference between success and failure; here's how we do recruiting at White Glove Apps. For an established company, hiring the right candidate can easily be a million-dollar decision after salary, training, business development, and hiring costs are tallied. So why is this critical business function done so poorly? Why is grossly unprofessional behavior accepted in this one case? Ask anyone doing a job search and you'll hear stories of employers never calling them back, leaving them waiting for weeks, or asking silly questions during interviews. Here are three tips for recruiting candidates like a professional. Fundamentally, candidates are business contacts. Employers have to assume they'll deal with job hunters in the future, whether they eventually become employees, customers, competitors, or regulators. Would anyone treat a customer or colleague that way – not getting back to them when a business proposition of mutual interest has been discussed? Who would have a meeting with any other kind of business contact, then not call them for a month and never tell them what the result of the meeting was? Granted, employers don't have to respond to everyone who randomly sends in a resume. But if an employer has reached to a candidate, the employer owes her a prompt response, especially if she's made an effort to follow up. Even if all the employer can say is, "Sorry we haven't made a decision yet; we'll get back to you in a week," that's at least a professional response. HR employees generally don't have technical experience related to the business. So why would an employer give them power to decide if a candidate is qualified from a technical standpoint? If all human resources does is screen resumes for keywords, they may miss great candidates who have related experiences. Often, it's better to hire the candidate who's motivated and has a proven ability to learn new fields. Only a technical person can look at a resume and understand what skills a recruit has and whether they'd apply to the position. 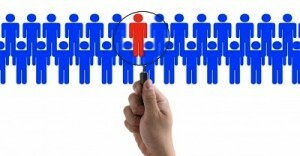 HR's role should be limited to screening out clearly-unqualified candidates. Sadly, some in HR seem to view their role as preventing people from exploring opportunities. Why would you go into human resources if you don't like helping people? As Ask the Headhunter® author Nick Corcodilos wrote, human resources would be better called, and confined to, Pay and Benefits. Having a new employee dropped on a team by a poor hiring process often leads to failure and discontent. Even if the recruit happens to be qualified, team members will feel they didn't have a chance to decide if the new employee was right for the job, so they'll feel slighted. Plus, the new hire will be put in a bad position by not having colleagues' confidence from the start. Clearly the technical people are the right ones to do the hiring, so they should invest the time. That way, they'll help themselves by adding a valuable team member. They'll also treat the recruit with the professional respect given to a colleague. If the team at the employer that's asking for the help isn't willing to make time to do the recruiting, the need isn't important enough to hire someone to do the job. It's vital to place this responsibility on the technical manager and team members so they only ask for recruits when they really need them. If the team isn't willing to devote the time to recruit a new colleague, they've implicitly made the statement that they'd rather get by without more help than take the time to find a recruit. Have an awful job search experience, or some recruiting tips, you want to share? Let us know about unprofessional behavior you've seen in recruiting. Image credits: Magnifying glass recruitment graphic: vichie81 / FreeDigitalPhotos.net; job interview: Ambro / FreeDigitalPhotos.net. The bit about responding to candidates in a timely manner can't really be overemphasized. I cannot tell you how many rejections I've seen that were never communicated; candidates were simply hung out to dry. Of course no candidate wants to be rejected, but they'd rather be rejected than hear nothing at all. @Anonymous: Exactly. Unfortunately, I think some companies are a) afraid of being sued, b) unwilling to let the candidate go, or c) just inconsiderate, so they don't send a rejection notice. And often the real reason for a rejection is rarely stated through official channels. That's unfortunate because there might be something the candidate could do, such as take a class or gain experience, that would make them perfect for a future job at the company. Or the candidate might learn that the need has changed and there's nothing she could have done to get the job.